A 2,839-hour day sounds long and tiring. But if you’re Duke Realty and you’ve got several hundred of your associates helping out, it’s entirely the opposite. 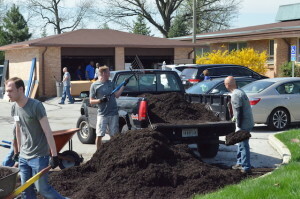 That was the story on Friday, April 17, when Duke Realty associates all over the nation volunteered at 21 local organizations for Duke Realty’s second annual Day of Service. Beyond all the good work that was given back to Duke Realty communities, 2015’s Annual Day of Service boasted several other distinctions, according to Duke Realty Diversity Council Chair Sharon Lleva-Carter. Activities that lead up to the Annual Day of Service are key to creating high levels of participation, says Duke Realty Chief Human Resources Officer, Denise Dank. Dank also pointed out that while the Annual Day of Service occurs company-wide, each market plans differently. Each market’s diversity council member sits down with the local market leaders to discuss which organizations or efforts might be the best fit. 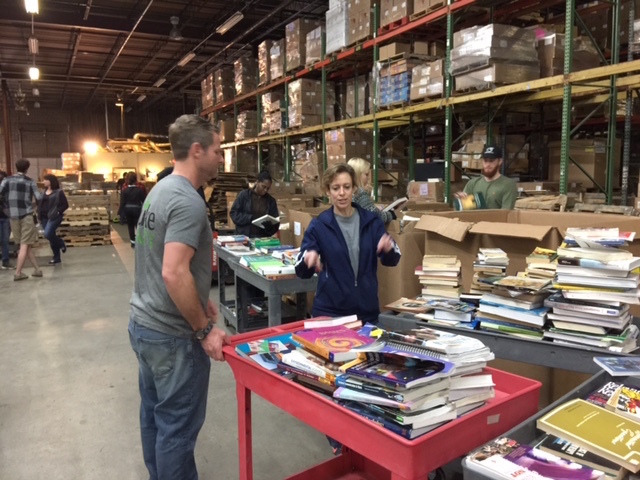 On this year’s Annual Day of Service, Dank joined her fellow Duke Realty associates from the Indianapolis office at Lutherwood, an Indianapolis organization that provides space, care, and counsel to young people who have been victims of abuse or other trauma. 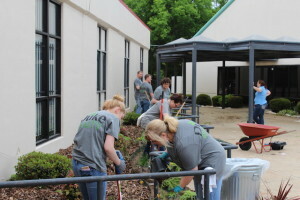 Duke Realty associates helped to clean, organize, and make other improvements to the facility’s building and grounds. Associates in other markets performed similar services: from California, where associates worked on a Habitat for Humanity build, to Washington, D.C., where they helped to spruce up the Banshee Reeks Nature Preserve. Duke Realty’s Annual Day of Service was created two years ago on the recommendation of Duke Realty’s Diversity Council. Each date thus far has been chosen to coincide with National Volunteer Week, in order to reinforce the message of community involvement. To see more pictures from some of the worthwhile projects Duke Realty associates got involved with this year, take a look at the slideshow below. Note: For your best viewing experience, click Start Prezi, then the full-screen icon in the lower right corner of the window. If your device asks about keyboard controls, choose Allow. Then choose a four-second delay from the autoplay selector just to the left of the full-screen icon.